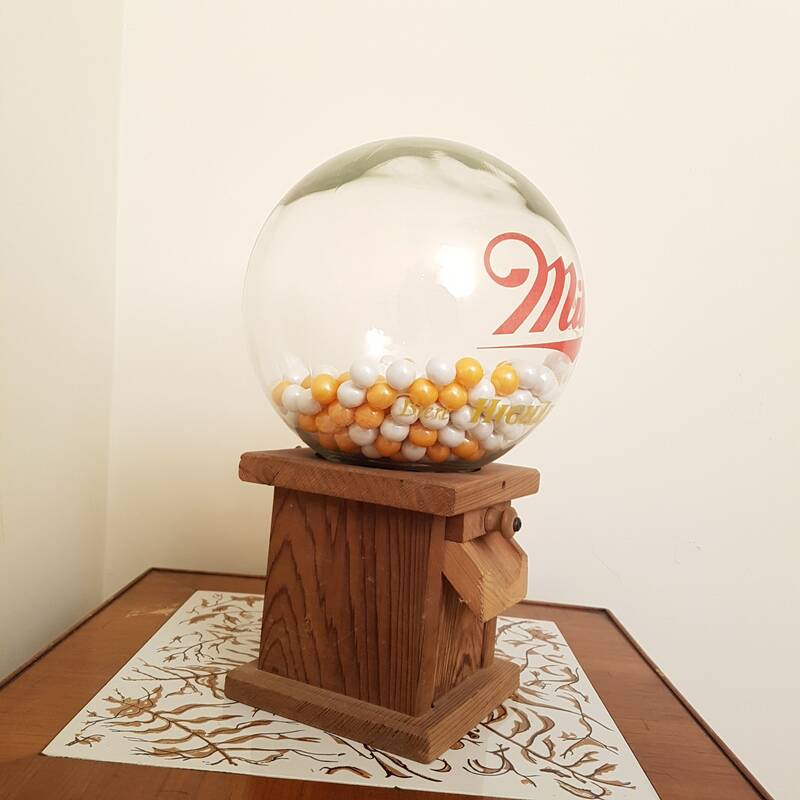 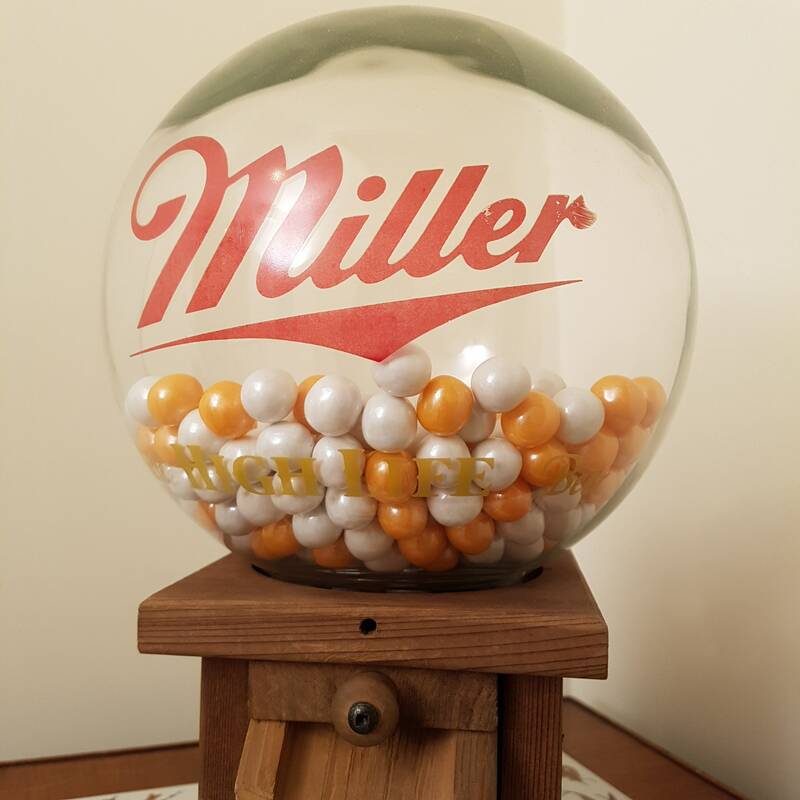 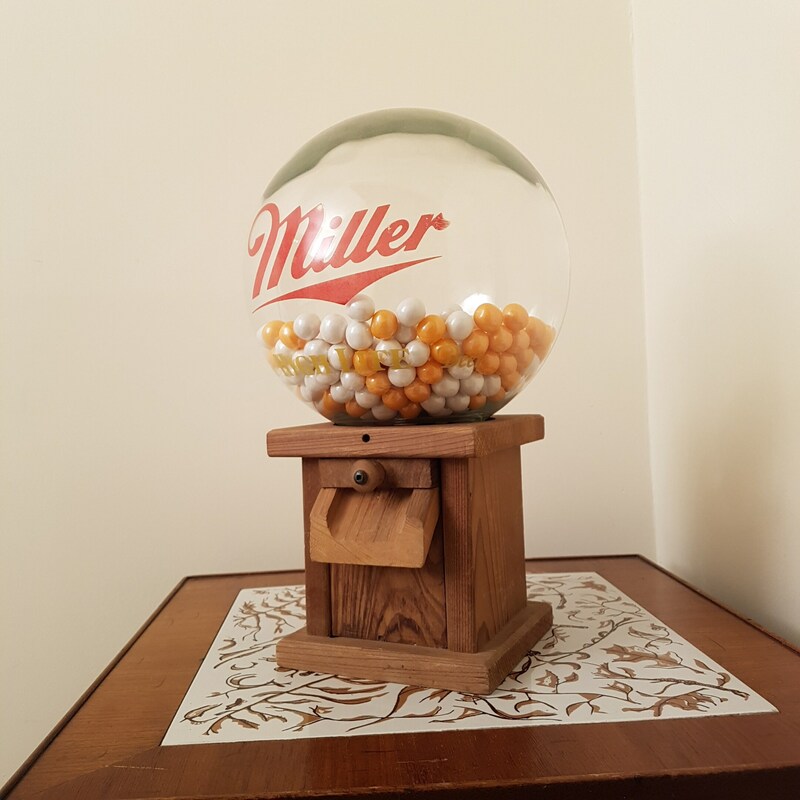 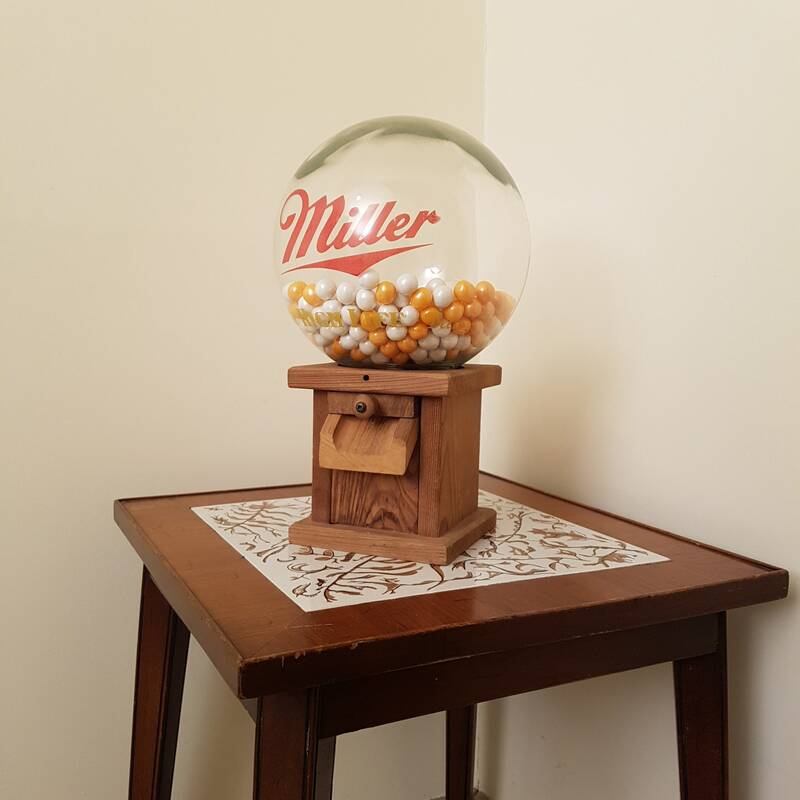 This wood gumball machine is a vintage piece from the 1960's perfect for dispensing snacks in your home bar or office. 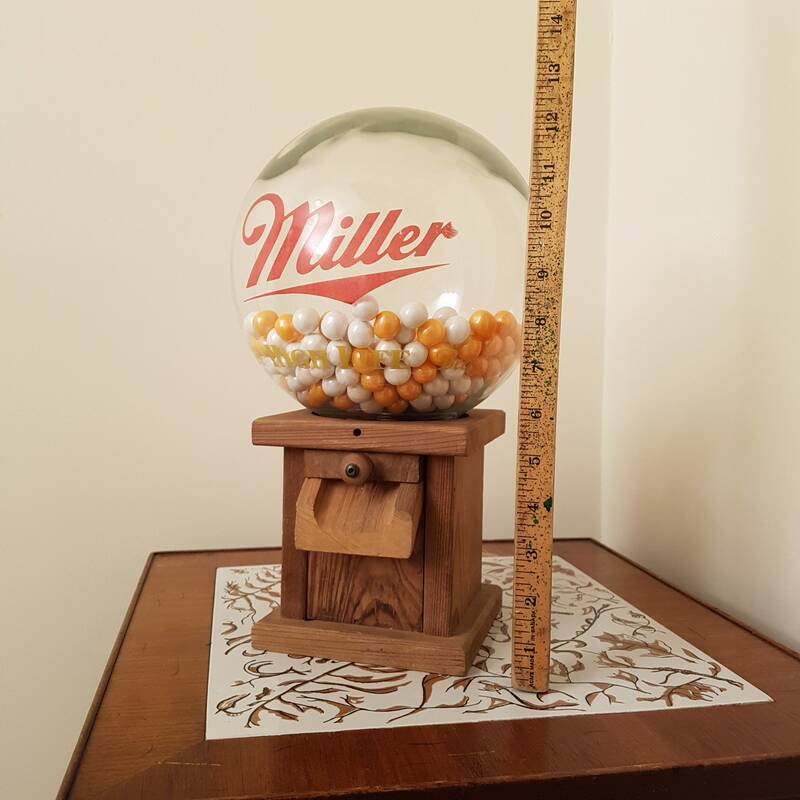 Measures 12" tall by 8" wide with globe. 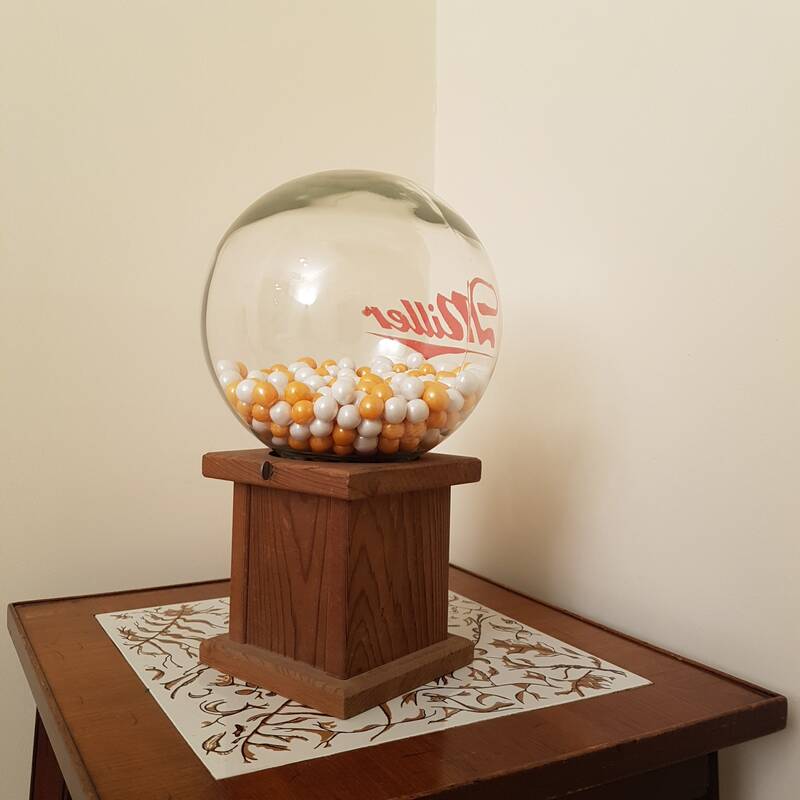 Globe comes off for easy cleaning.